File image of BART train. A 27-year-old Oakland man has been arrested on suspicion of five separate break-ins at the BART McArthur station parking lot, transit agency officials said Friday. A BART patron noticed a man smashing car windows and pulling car door handles in the parking lot around 1:50 p.m. Thursday, the transit agency said. 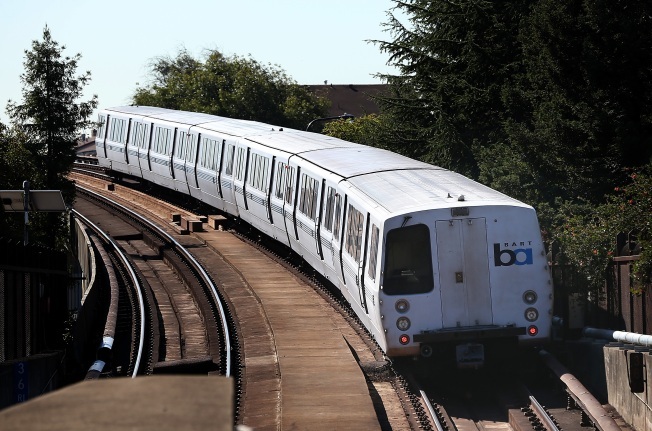 The customer flagged down a BART police officer, who quickly responded and detained Andrew Friedman of Oakland, according to the transit agency. Friedman was booked into Alameda County Jail on suspicion of burglary, transit agency officials said. It was allegedly determined that he had broken into five vehicles Thursday. The stolen property was returned to victims, according to transit officials.